Looking for a property in Valmiki Nagar? 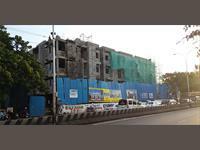 Have a property in Valmiki Nagar? Valmiki Nagar situated between east coast road and Bay of Bengal in Thiruvanmiyur. It is considered high end residential locality with many apartments private catering to higher income residents mainly. Metro water and sewerage connected, Beach in walking distance. Valmiki Nagar, Chennai is rated 9 out of 10 based on 1 user reviews. Have a good knowledge of Valmiki Nagar? Share it and become a Locality expert.